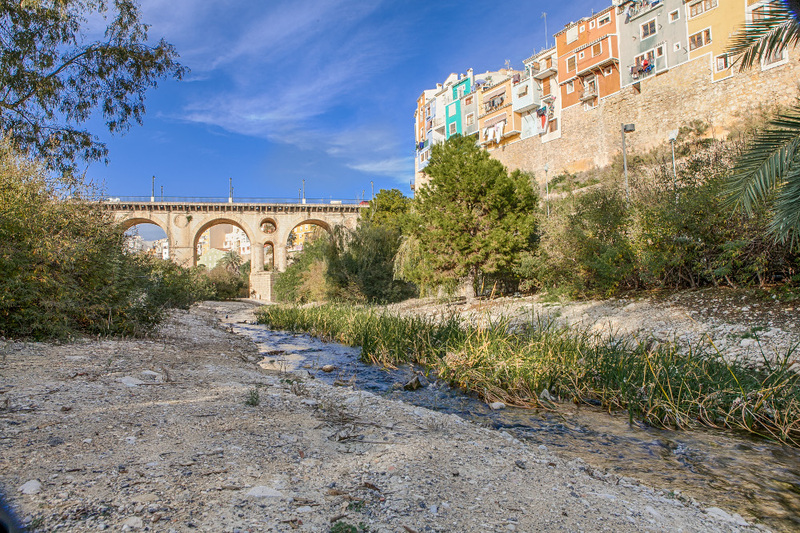 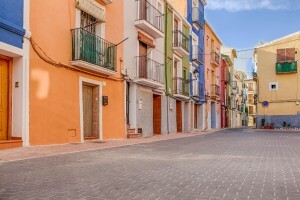 Villajoyosa is a village with approximately 33.000 inhabitants, located 32 km northeast from the city of Alicante. 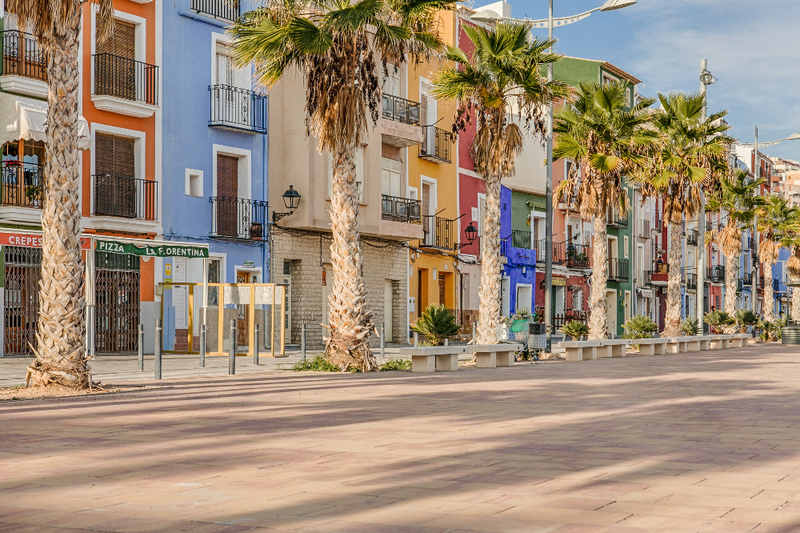 It is traditionally a fishing village and one of the jewels of northern Costa Blanca situated between Benidorm i Alicante. 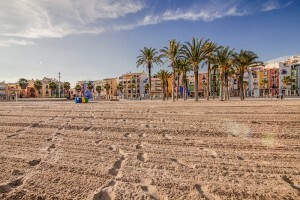 Villajoyosa, locally La Vila Joiosa, is known for having the whitest and cleanest beaches of the whole Costa Blanca region, so as the blue flag that distinguishes them as premium sand beaches. 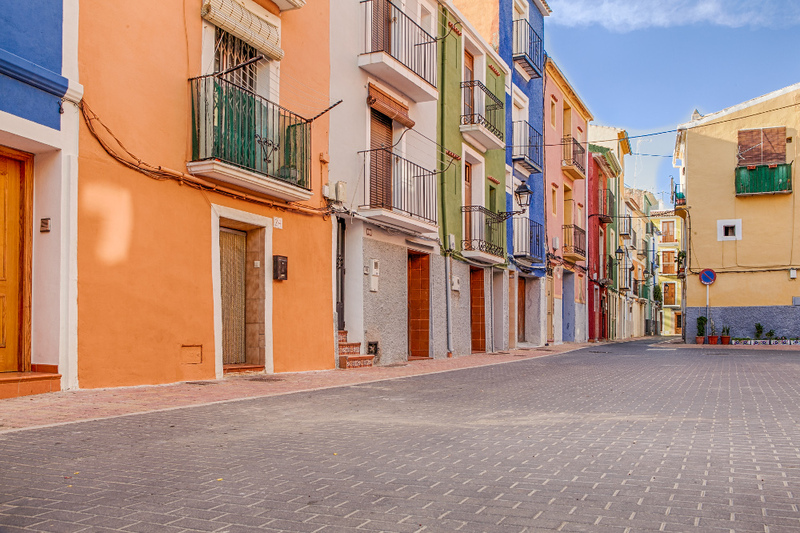 Villajoyosa is architecturally known for its colorful facades and the old town, each of them painted with a different color. 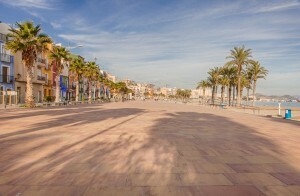 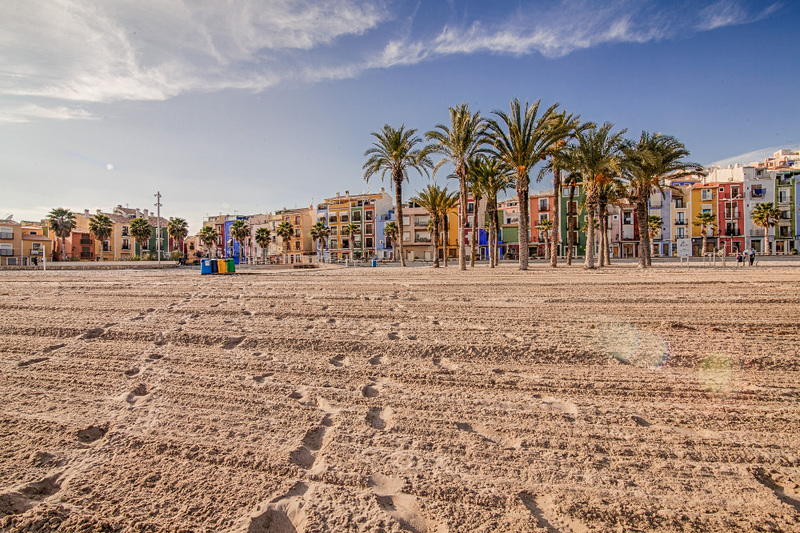 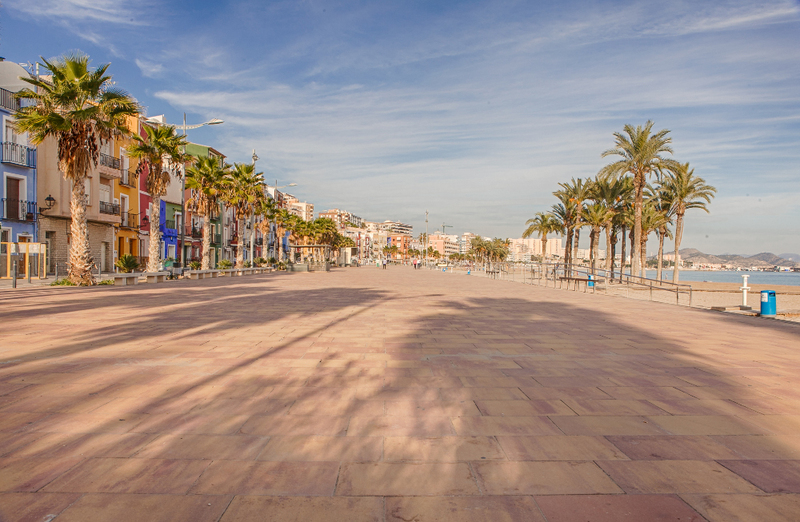 The long stretch of white sand is framed by a promenade with bars and restaurants mostly of Spanish character with lots of palm trees providing shade necessary to enjoy the hot days. 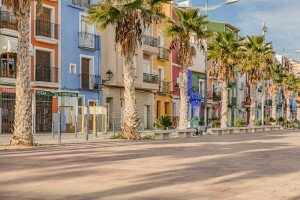 Market day is thursday in Villajoyosa. 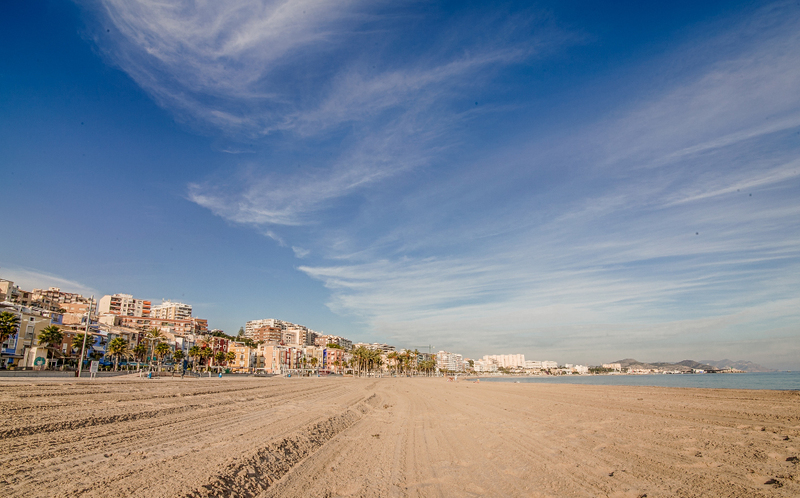 In the fishing harbour the traditional fish auction takes place daily.